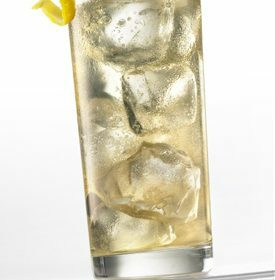 The German Expressionist painter Anselm Kiefer is the inspiration for this tangy and refreshing cocktail. Its emphasis on tart and bitter flavors perfectly suits the artist, whose dark and complex paintings reflected his lifelong quest to transcend Germany’s troubled history through the healing power of art. Combine the aquavit, chinato and kirschwasser into a shaking glass. Hand squeeze (don’t muddle) one supreme of lemon into the glass. Add ice and shake vigorously. Strain into a coupe or martini glass. “At jimgermanbar, we finish with a dash of housemade hibiscus bitters,” German says. “Use any floral, not pungent, bitters.” Garnish with a twist of lemon.